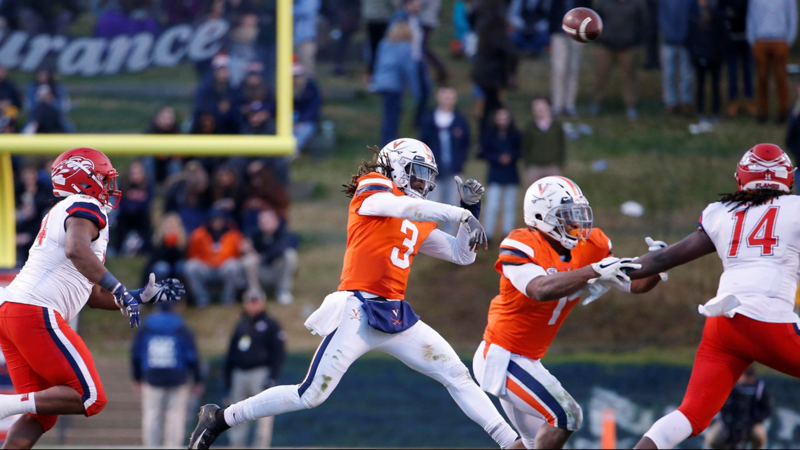 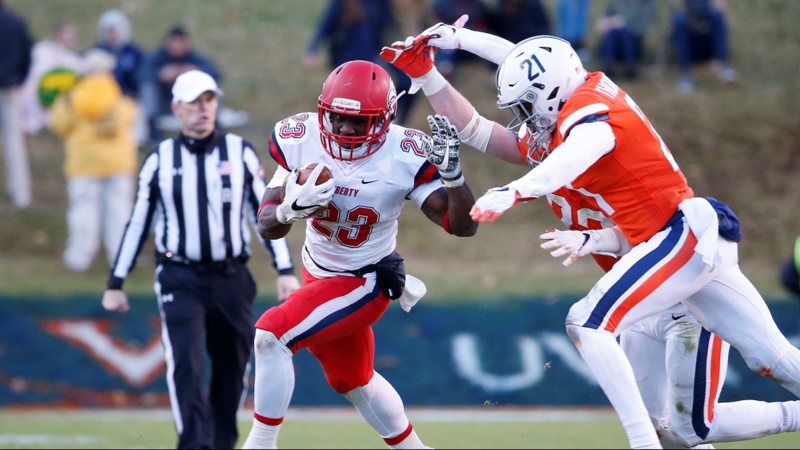 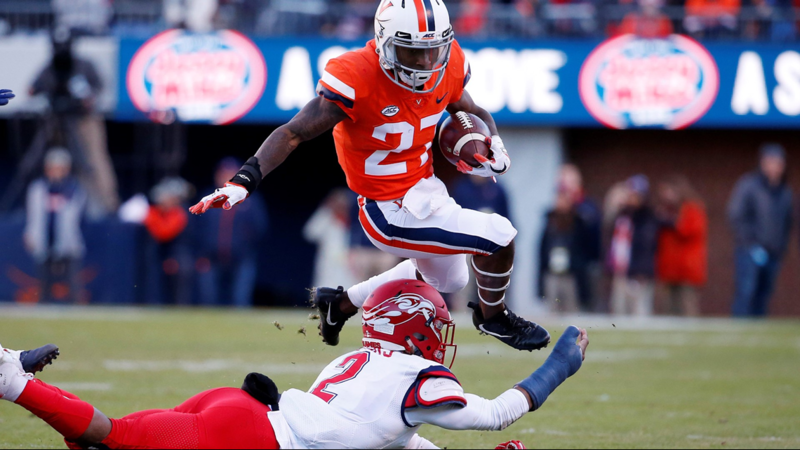 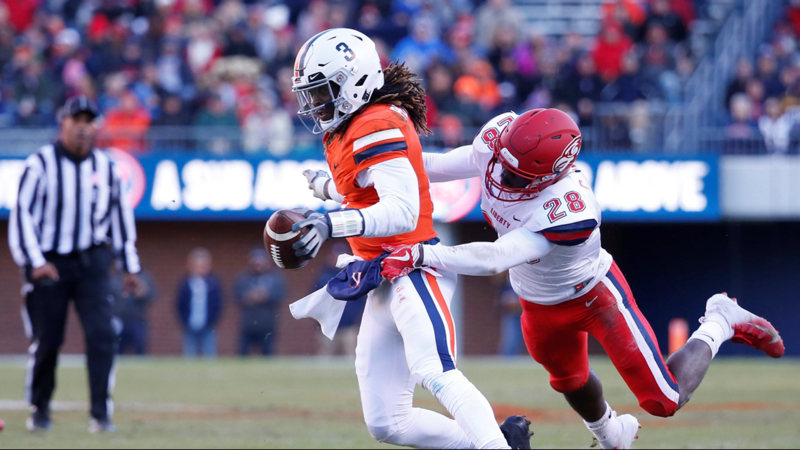 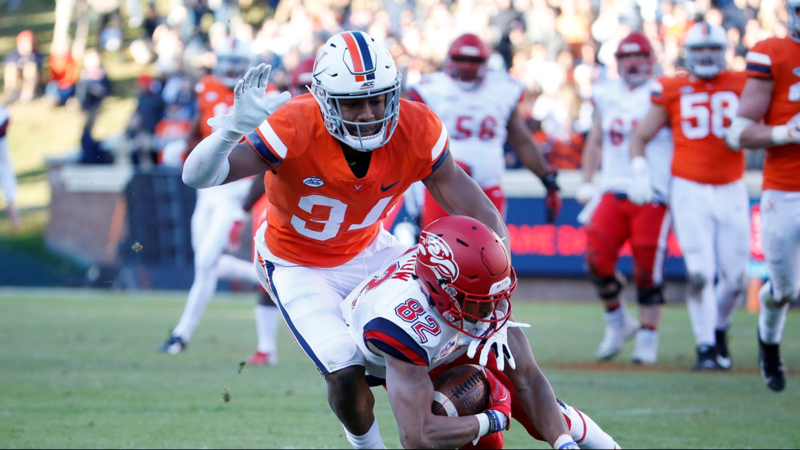 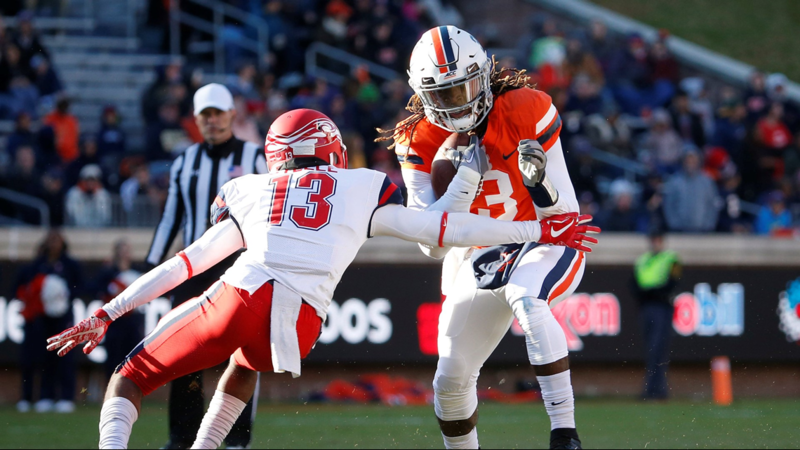 CHARLOTTESVILLE, Va. – It its first ever meeting against in-state foe Liberty (4-5), Virginia (7-3) emerged victorious, 45-24 in the final home game of the season. 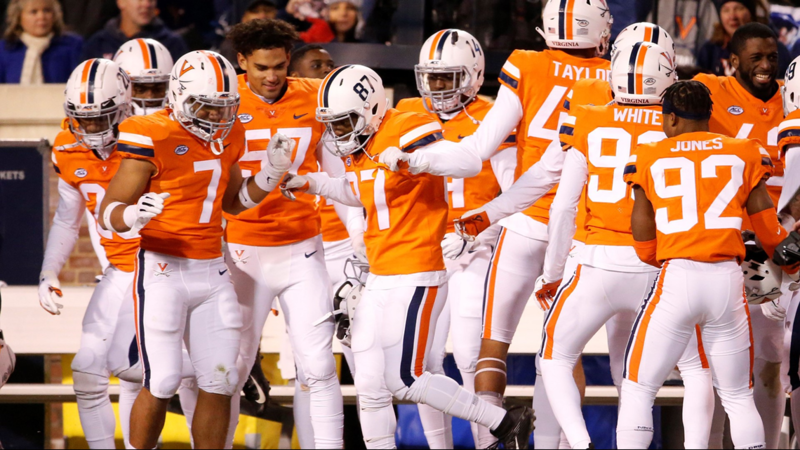 The win clinched the Cavaliers' first winning season since 2011. 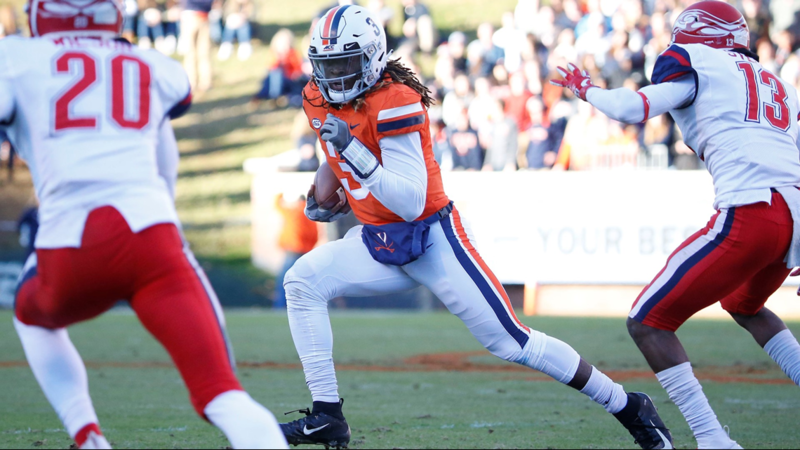 Quarterback Bryce Perkins accounted for four of Virginia's six touchdowns on the afternoon, rushing for two and throwing for two more. 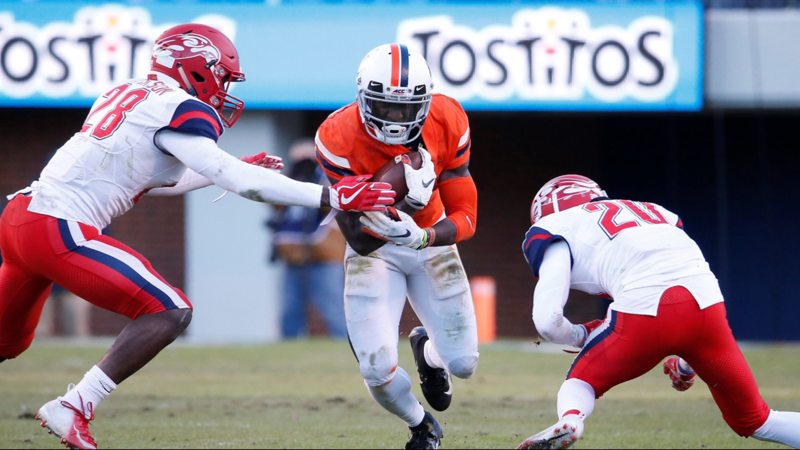 Perkins finished the day with 106 yards on the ground and was 14-for-22 passing for 168 yards. 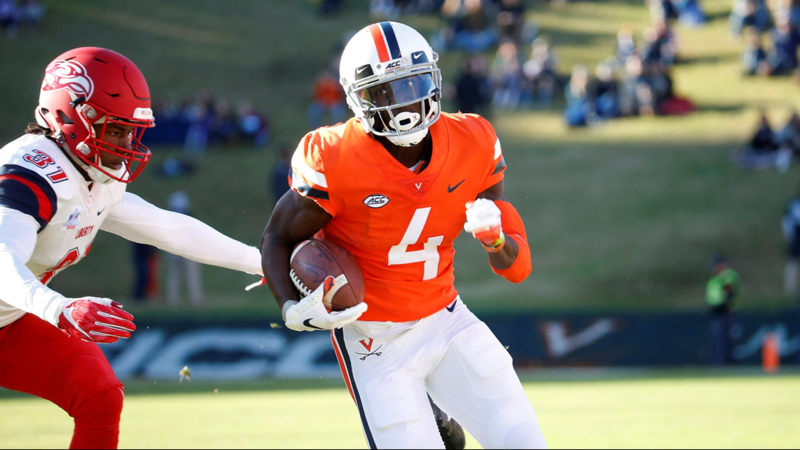 A seven-point game after the first two quarters, Virginia's Joe Reed took the opening kickoff of the second half 90 yards for a touchdown. 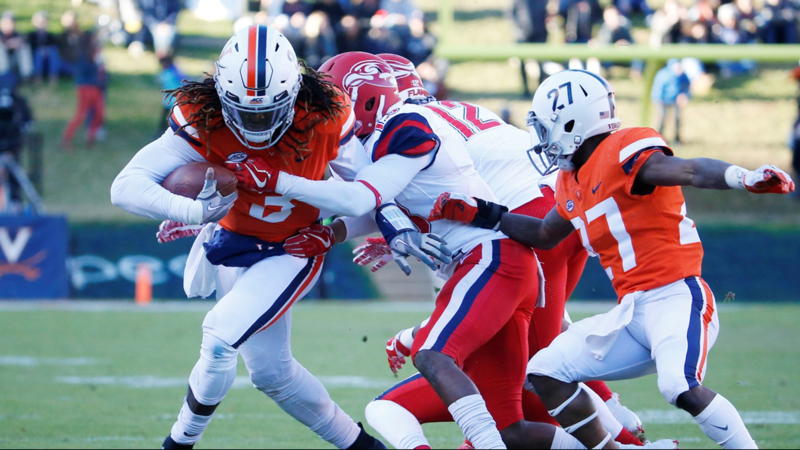 The return sparked a second half that saw the Cavaliers outscore Liberty, 21-7. 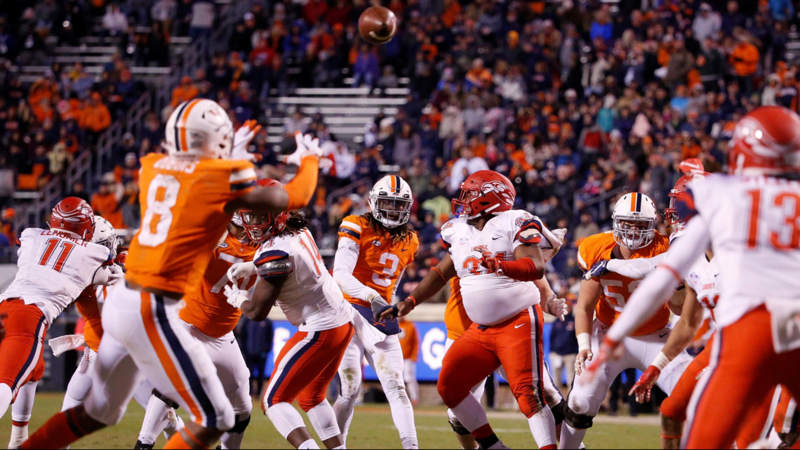 Reed was the recipient of the game's final score, a six-yard TD pass from Perkins.